When I first got home from the service, back in the mid 70’s, I swore up and down that I would never sleep in a tent again. Man, was I wrong! My family and I love to go camping. You see, there is only so much stuff you can put into an 80lb. military rucksack. 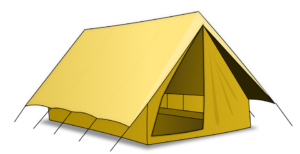 You will have your shelter half (1/2 of a two man pup tent), your sleeping bag, entrenching tool and other Basic outdoor survival gear. A weekend camping trip with the wife and kids is So much more enjoyable. We have developed what we call our camping ritual. Our camping ritual consists of a couple of different things. First and foremost is finding a good camp ground that has the things that we like to do close by. We live in Colorado so we have a fairly large number of camping venues available. The next part of the camping ritual consists of putting together a Camping Packing List that will cover all of the basic camping essentials and camping gear that we use on a regular basis. The next part of the camping check list will ensure that we have all the camping must haves for whatever we are planning to do while we are away. You may think that fishing is a pretty self-explanatory, But that is not always the case. There are different types of fishing. For example, there is river fishing where you will quite probably need some waders so you can walk out into the river. Most likely in this case, you will quite probably be fly fishing . This will require different fishing gear than if you are fishing from a boat , trolling with lures or sitting in a lounge chair on the shore line of a lake drowning night crawlers and watching the bobber to see if you get any bites. The Camping Packing List will possibly vary depending on the activities you have planned. What to bring camping will change from one camping trip to another. However, there are some things that you must have with you on every trip. This may sound a little goofy But, one of the first things you will need for your camping trip is something to carry all of your camping must haves in. I got real tired of putting as much stuff in my rucksack as I possibly could, only to have it get rain soaked and ruined. As time went by and we started needing to take more things along. I finally upgraded and purchased some camping totes. I personally prefer the Sterilite camping totes. You can see through them and they are still very sturdy. This is a list of a few things that you will want to make sure you pack for every camping trip. First Aid Kit- I don’t mean throw a couple band aids into a bag. I mean, you need to carry a fully stocked, light weight and durable, quality first aid kit for camping. Personal hygiene supplies- Put together a small bathroom kit that you can carry to the showers, or the bathroom with you. This will include hand soap, tooth paste and brush, your hair care and shaving needs, toilet paper and the like. Your personal medications if you have to have them with you all the time. Flip flops, or sneakers that you can wear into the showers or just wear around the camp site so your not stepping on things you don’t want to. Protection from the elements is key. You will want to carry sunscreen, Lip balm and Insect repellent is an absolute must. The weather is constantly changing and If you are in the mountains, You cannot see the horizon or a severe storm that may be approaching. Inclement weather can sneak up on you very quickly. It’s extremely important to be prepared for rapid weather changes. A light weight Field Jacket will keep you warm and dry and is a Camping Must Have. Tools, It’s always a good idea to have a small compact set of tools on hand. Because every time I have gone camping, I have always needed to fix something. A good quality Multi-tool is another camping packing list must have. 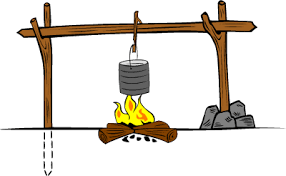 Emergency Fire Starting Kit– Lol, I don’t know about you, But almost every time I build a camp fire, It rains :(. I always keep a little water proof pouch with some dry matches or zippo lighters so we can build a fire if we need to. Navigation: Always a great idea to carry a map, a compass, and a GPS is a great idea also. Flashlights and lanterns round out this camping packing list. The sun always goes down and it always gets dark outside. A comprehensive, detailed Camping Packing List will soon be added and offered as a free download. This free camping check list is way too long to try and put into a single blog post. So, We are creating a pdf that our visitors will be able to access for free. Please check back often to see if the packing list is available yet . I will do my best to make it available as soon as possible. 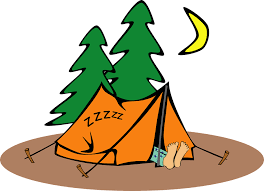 Camping is a great activity and good fun for all of the family. However, it is really important to be prepared before you go and to make sure that you have everything. After all, anyone who has been on a camping trip before and has forgotten one key piece of equipment, such as a thermos flask, will tell you how annoying it can be! There are lots of things to think about but it is well worth the time sitting down with a pencil and paper before packing and setting out exactly what it is that you need to take. This short article will run you through some of the advantages of making a list. Before reading the list though you might want to do a search of the usual things. Things that you might want when you go camping, such as enough clothes (layers are helpful!) and all of the right equipment for your tent. The biggest benefit is probably to make sure that you don’t leave anything behind. If you have a physical list, you can slowly tick things off as they go in the back of the vehicle or in your bag (so long as you don’t forget the bag!). Once the list is made, it is a good idea to keep it in a place that is easy to see, such as on the front of the refrigerator, so that everyone can easily add to it or strike things off it as you go. Another good thing about having a physical list is that other people can add to it as well. There may be things that you haven’t thought of that your partner, or whoever else is going with you can think of and would like to take. You can always take it off the list once they have put it on there but at least it gives them that option. There are lots of lists available on the internet and it might be worth using one of these as a guide when making your own list or check one after you have made your list to see if you have left anything major that you might regret later. It’s also really important to make sure you put everything back in the car when you leave the campsite. Far too many people have left without a tent peg or pole before, it is easily done! Anyway, have a great camping trip and we hope this article has convinced you to make a list before you go! If you are anything like me, You love the outdoors and wide open spaces. After months of working day in and day out, It’s Good to get away for a week or ten days. It’s fun to grab a camping lantern and take the kids on a short walk around at night. Kids are great to go camping with. They are always so full of questions and the smiles are a mile wide most of the time.